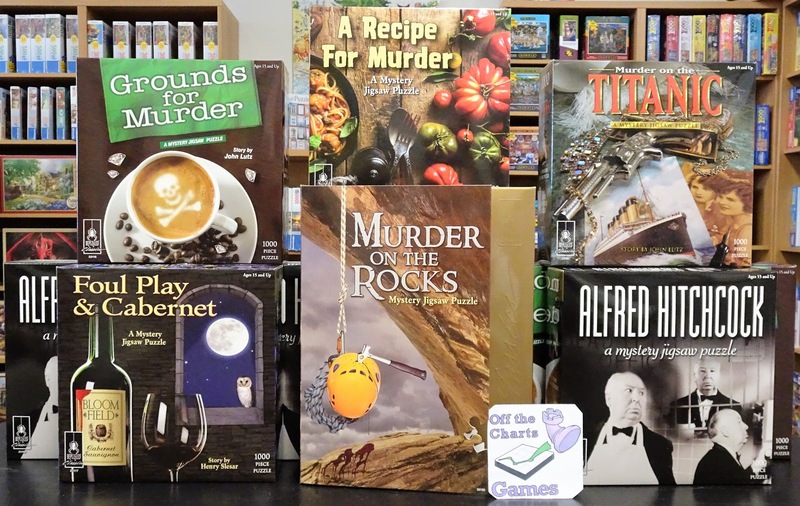 More new games and more mystery puzzles have arrived! 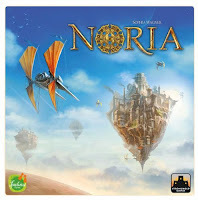 Newly released from Stronghold Games is Noria, a 2 to 4 player board game set in a Steampunk/SciFi universe designed by Sophia Wagner who won the Spiel des Jahres fellowship in 2015. At the center of the game is an innovative mechanism called wheel building. 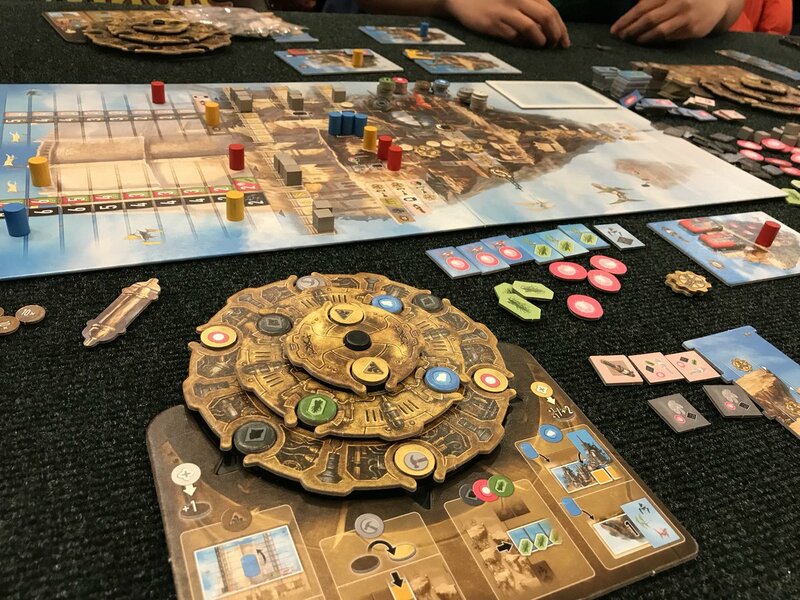 Each player has an action wheel consisting of three rings, with slots for a number of different action discs. Over the course of the game, players try to obtain new discs and manipulate the rings of the wheel to optimize their action selection. Additionally, to ensure their investments bear fruit, they also need to bribe politicians with knowledge. The path to victory lies in getting your representative on each of the 4 project paths, progressing up these paths, and maximizing the values on each of the 6 victory point multiplier tracks. The path level on each of the projects times it's value on the multipler track determines your end game victory points. Additionally, you'll score points for your highest attaining representative and points for your representative that is in the lowest position. 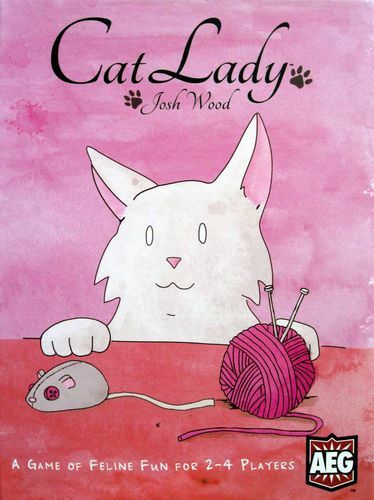 New in from AEG is Cat Lady, a set collection card game for 2 to 4 kitty loving players. 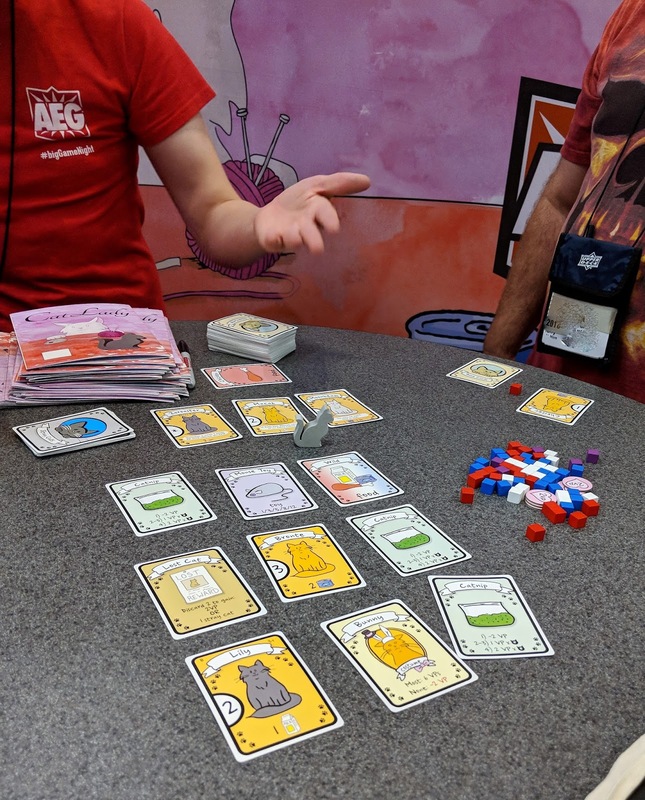 Players take turns taking a row or column of three cards, collecting toys, food, catnip, costumes, and lovable cats. 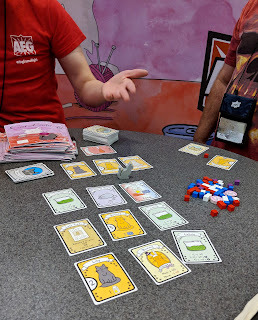 On their turn players will place the cat token in front of the row or column of cards that they will take, and then refill that row or column. 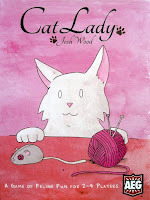 The next player may not take the row or column of cards that the cat token is sitting in front of unless they have special card. At the end of the game players must make sure all of their kitties have the food they require to avoid losing points. Earn end game victory points for fed kitties, having the most costumes, set of different types of toys, and catnip bonuses. Attention jigsaw puzzle lovers, we have the classic mystery puzzles back in stock. These classic mystery puzzles come with a brief mystery story. Assemble the puzzle to look for the hidden clues. Solve the mystery by piecing together clues from the story and the puzzle. Another interesting feature of these puzzles is that you will not have an image of the puzzle to work from. The image on the box is not the image of the puzzle. If you like a good challenge these are right up your alley.